Are you looking for a job that gives you the opportunity to work with one of America’s top 100 most trusted Companies while also increasing your income from the comfort of your home? 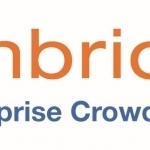 Then why not join Lionbridge as a part-time Independent Contractor. We are currently recruiting for the role of Personalized/Social Media Internet Assessor in the United States. Don’t Delay! Submit your application through http://goo.gl/jl6bmR and a member of our recruitment team will review your application.